First launched in 1966, the Toyota Corolla went on to become one of the world's best-selling vehicles, with more than 40 million cars rolling off the production line bearing the name. Renowned as a practical and stylish family car offering rock-solid reliability, the Corolla is well deserving of its reputation. 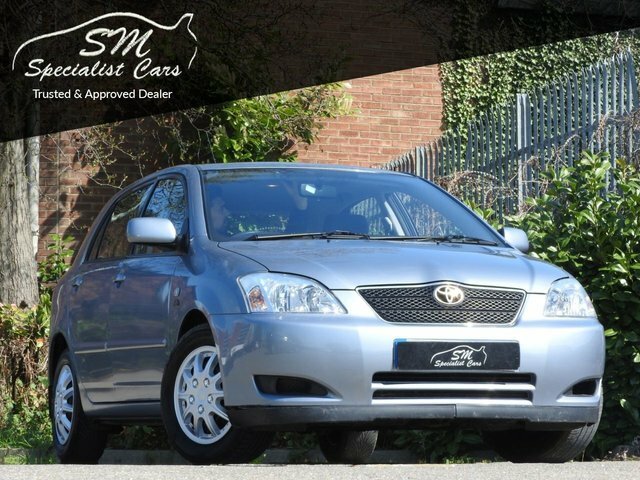 You can discover more about the range of used Toyota Corolla models for sale in Bedford right now by speaking to a member of the showroom team at SM Specialist Cars Ltd. Our experts will be able to provide you with friendly, impartial advice that should make the task of finding your next used car considerably easier. Contact us today to find out more.